Furthermore is a digital magazine that seems to have it all: eye-catching images, sleek design and a great mix of articles. 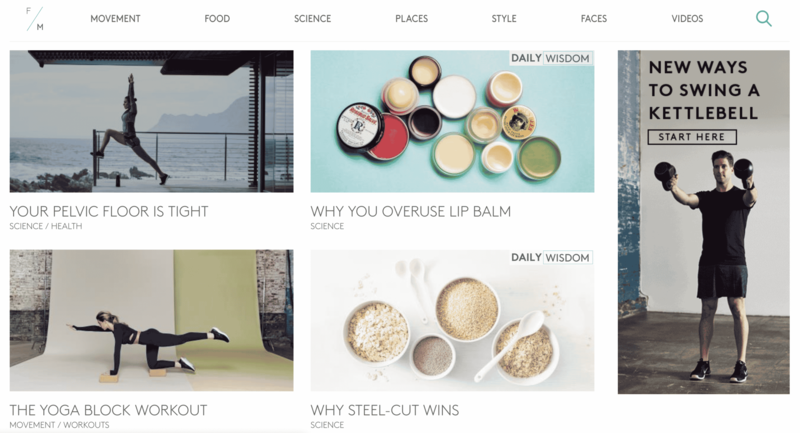 Topics prominently featured on the homepage run the gamut from the health benefits of steel cut oatmeal to the science of why we use too much lip balm. What makes Furthermore most impressive is that it’s not actually the work of a traditional publisher. Furthermore is produced by luxury gym Equinox. According to social listening platform NewsWhip, 70% of consumers would rather learn about a brand through content than ads. Similarly, 68% feel more positive about a company after engaging with its content. Still, we recognize that content is king. And so do brands. In 2014, IDC reported that CMOs at the largest tech companies considered building content marketing as an organizational competency was one of their top priorities, second only to measuring ROI. In a Content Marketing Institute survey three years later, 92% of executives said they consider content a business asset. For many of them, that focus involves acting like publishers and in some cases, going as far as to create their own newsrooms. 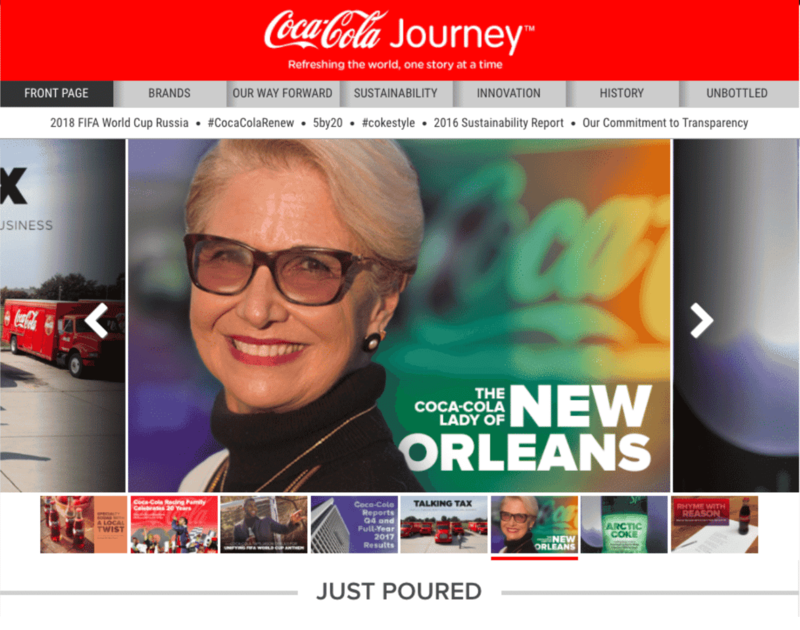 Coca-Cola was a pioneer of this strategy, launching Journey in 2012. With a goal of “humanizing the company,” Journey has since evolved to encompass more than two dozen regional versions in 14 languages. Journey publishes stories across 12 categories including food, culture, history, sports and sustainability. Though Coke was certainly an early adopter of the publisher mentality, the brand wasn’t alone. 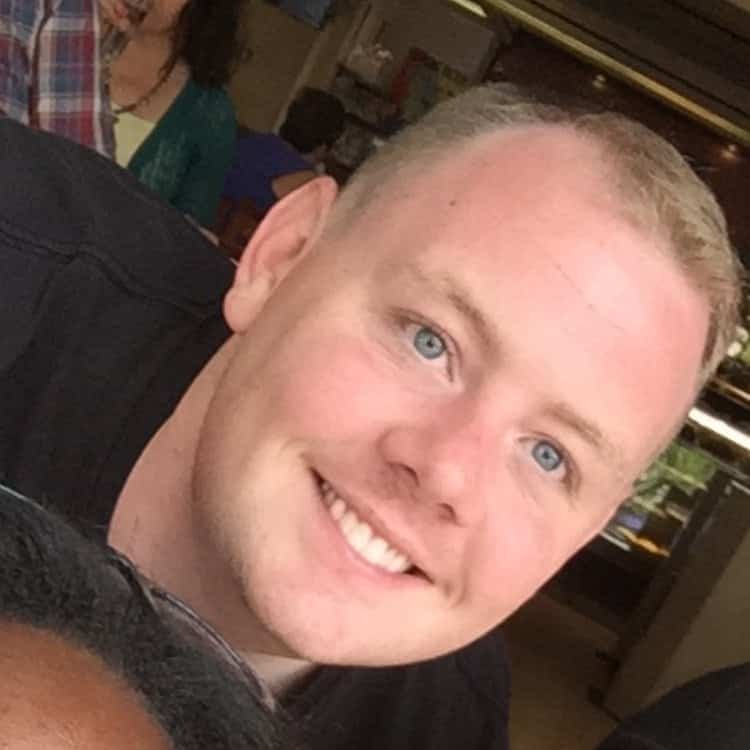 Others include Dell’s Tech Page One, which even aggregates relevant articles from sources like Reuters and Forbes; Red Bull’s adventure-focused Red Bulletin; and every in-flight magazine in existence. To say there’s a lot of content out there would be like claiming that Antarctica is a little chilly this time of year. According to WordPress, users publish 70 million new posts every month. YouTube creators upload 300 hours of video to the platform every minute. To cut through the clutter, brands can’t simply create content. It’s about creating good content. “Good” content is in the eye of the beholder, but there are a few universal truths: it should be engaging and demonstrate value. Today’s consumers have more distractions than ever before, so if your content is top-notch, they will want to consume it. According to PageFair’s annual Adblock Report, global ad block usage grew 30% in 2016. If consumers don’t want to see ads, they probably don’t want to see ads disguised as content, either. Brands that invest in content enough to act as publishers are generally savvy enough not to beat consumers over the head with their brand messages — unless that’s what they want. Thankfully, data and personalization tools make it easier than ever to tell. Futhermore is barely recognizable as a brand’s publication; Ctrl+F brings up two mentions of the word “Equinox.” And given the time of year, once of those is actually a reference to the vernal equinox. On the other hand, most stories on Journey are at least tangentially related to Coca-Cola. However, the entire “most popular” section is Coke-centric; readers want to know how about Coke’s sustainability plans and “Smoobucha,” a kombucha-smoothie hybrid from Odwalla. 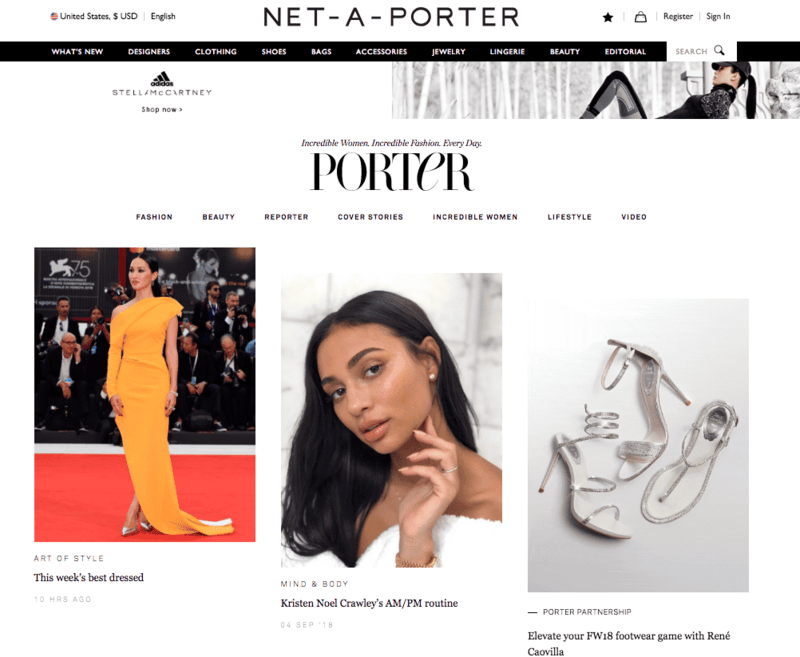 Net-a-Porter: Net-a-Porter.com’s hybrid content and commerce website perfectly reflects the lifestyle of their target market. Net-a-Porter curates fashion from high-end brands like Gucci and Prada. The company’s content is aligned, with features such as takeaways from London Fashion Week and the sorbet-like colors that are in this season. Barneys New York: The Window is like a cross between Vogue and a Barneys catalogue. What are February’s hottest sneakers? How does the editor of InStyle get ready in the morning? Those are the kinds of questions Barneys’ content answers, appealing to its stylish readers. The brand uses its platform as a way to cement its employees as the definitive fashion experts. Another article features the store’s buyers discussing their favorite items and how they style them. Casper: In 2015, Casper launched a digital publication to “make sleep journalism a thing.” The mattress brand has since expanded coverage to all things comfort and wellness. Woolly does a good job incorporating a wide variety of topics under that umbrella. Current “cover stories” include how polyamorous couples celebrate Valentine’s Day, European countries subsidizing overnight spa getaways, and amusing essays about what it’s like to be in an abusive relationship with carbs. 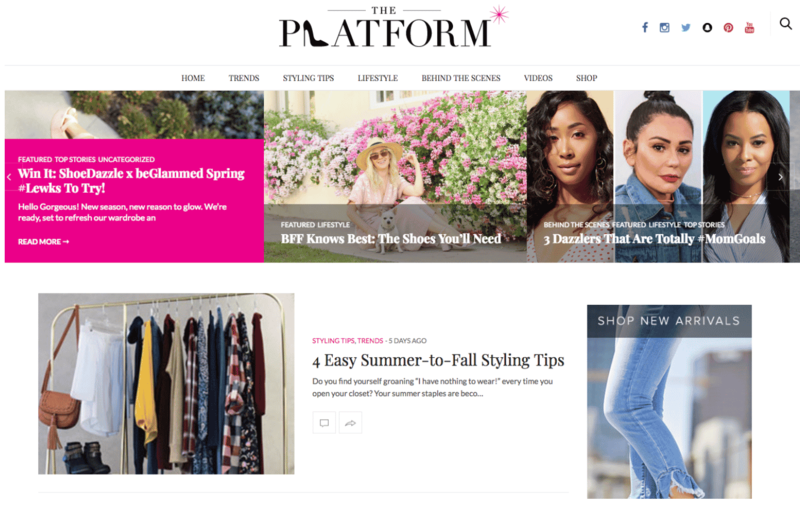 ShoeDazzle: The Platform, ShoeDazzle’s blog, blends content and commerce by integrating products into articles about everything shoes, trends and fashion. One post about mules incorporates three drastically different styles to appeal to different shoppers… all with product page links, of course. TD Ameritrade: thinkMoney has won numerous editorial and design awards over the past decade. The publication isn’t just financial; it focuses on options traders, a very narrow niche within the investing world. TD Ameritrade appeals to that demographic with laser-focused content, exclusively written and edited by active traders. Dollar Shave Club: More than anything else, Bathroom Minutes, which comes with every subscription box, is entertaining. 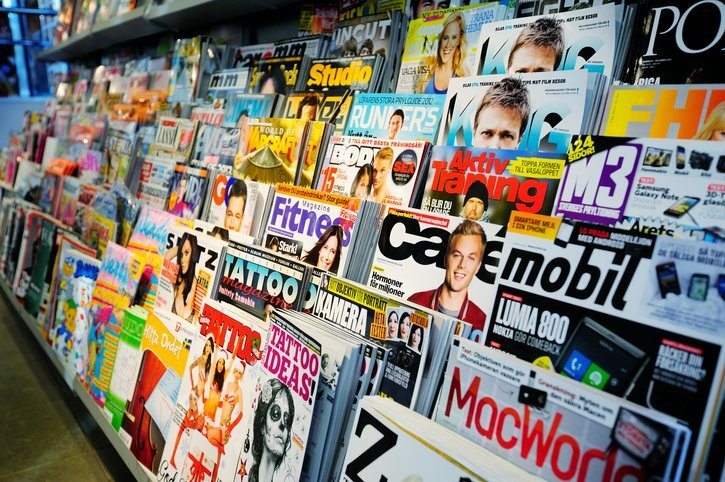 Each issue is only a few pages long, as they’re meant to be read in the bathroom. The content is also interesting in a “Hey, did you know…?” kind of way. Did you know that it’s so common to swear after stubbing a toe because our brains reflexively respond to that kind of stimuli similarly to the way a dog yelps if you yank its tail? Airbnb: Three years ago, Airbnb launched Pineapple, a coffee table book-style magazine that has since been replaced with an online publication. Airbnbmag focuses on travel, but with a more localized approach, which is reflected in the tagline, “Be at home in the world.” Where the typical travel magazine might focus on things to do in Hawaii, Airbnbmag zeroed in on the best shops in Honolulu’s Chinatown neighborhood, for example.